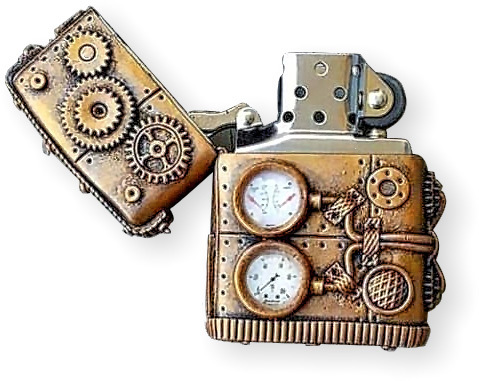 What did you do with that old Zippo lighter? This steampunk version from Moscow’s Galka Vasina will have you rummaging through drawers to find it. Even though the auto-translation is rough, you can see how she wraps the lighter in a gold polymer casing and adds small gears and gauges which she textures and washes with dark paint. All you need is a lighter and lots of imagination. Here is it on Instagram.